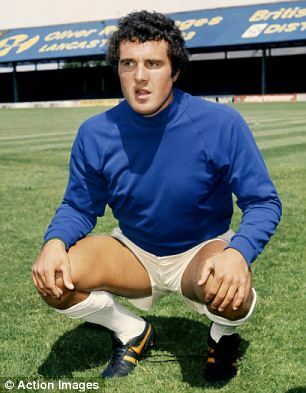 Stands out for me, as the worst and dodgiest goalkeeper I remember I've seen at Loftus Road. Just read he is working for the club? :O When did that happen? Not many to be fair although Rossi springs to mind. And before people jump on the bandwagon, Derek Richardson wasn't that bad particularly as he had a hard act to follow in big Phil. Chris Woods got a lot of criticism too, unfairly in my opinion. Fair play to Ademola Bankole for keeping the family surname. The rest of his family changed it to ATM. I dont remember him at all other than he was the reserve QPR goalkeeper in the original PS1 LMA Manager. I remember that one appearance so well, it was astonishing. Paul Barron for (alleged) reasons other than just his keeping. Sieb Dijkstra. What the f*ck were we doing with such a good team playing in front of the rotating circus of him, Roberts and Stejkal over three seasons? A decent stopper would have propelled us even higher I reckon. Keller the one they should have signed? I thought he was perfectly OK. Not sure why we signed him to play in the reserves but decent enough. I thought that Stejskal was a good keeper. While I will give Green his moment at Wembley, but every time the oppo crossed the half way line, you said a Hail Mary. Decent enough fmwhen he signed but by the end of his time at QPR he was playing second fiddle to Tony Roberts???? That would look pretty bad on anyones CV in top level football. Says more about team selection than it does about Stejskal. I suspect Don Howe knew Stejskal wanted to go home - he spent his whole career in Czechoslvakia apart from his time with us - and was doing bit of forward planning. Never saw enough of Dykstra to make a decision but TBF to Roberts he looked promising when he started - he was always a good shot-stopper and you don't expect a young guy to be perfect. It took time to see the regular errors and his failure to improve. I've never understood why buying a 1st class keeper for that team wasn't a priority, of course in Gerry's time the policy was "buy cheap and sell" which must have made it difficult but when we finally had the Ferdinand cash we used it to buy a keeper who couldn't get into the Luton team. Culkin was well ropey and someone nailed his feet to the goal line but I could never convince myself that Tony Roberts was any good and he played over 100 times for us. To be fair to Digby he was brought in as an emergency signing when Day broke his leg and we had no one else. He was okay, it was League 1 remember. Carl Ikeme left me scarred every time he stepped onto the pitch. Yes, Juergen Sommer wasn't it? Played a blinder in one game against Villa, I think, and in all the others he was plain awful. Poor bloke was doing his best but just not up to it and there was never any evidence that he would be, he'd never played at that level. Oh Lordy, I'd tried to blank him from my memory. Absolutely terrifying. Mini Dorse still talks of Rob Green hoofing the ball straight up in the air for the Scum to receive it and score. Scarred, that boy, scarred. this nutter from from 1980? A bit harsh there John, I think he had the most clean sheets of any Championship GK in the 2015 season and pulled off some real worldy saves during that time. Got picked for the England team too during that period.